Free keepsake “Green” shopping bag for every bride! 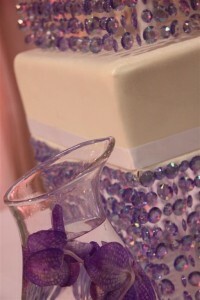 Find your perfect wedding theme for whatever season your wedding is being held! Find your wedding dress, tuxedos, and bridesmaids at the fashion show. 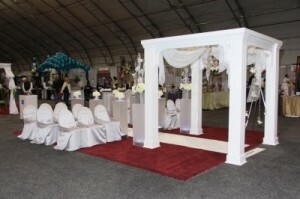 If you are planning a wedding in Las Vegas, this is the bridal show you don’t want to miss. Special post card promotions coming up in December. It’s always best to buy your tickets online as you will get into the show a lot quicker. The tickets are e-mailed to you right away, no fuss, no muss! Veronica, you can either go to For the Bride – when you cursor over that yoou should see drop down menu to the right and click on Order Tickets. 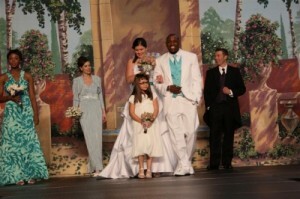 You can also find the Order Ticket field from Bridal Show Tab. These menus are located at top left of our web site and are very visible. Please let me know if you do not see the drop down boxes when you cursor over the tabs on the left. i want to know how i can purchase tickets online…i cannot find option online..thank you!